This Spicy Smoke Sauce is simply awesome! So versatile. So full of flavor. And it smells amazing. I think a plain dinner can be jazzed up with a great and flavorful sauce to make it something special. And, this sauce doesn’t have too much fat or calories, so you don’t have to feel bad putting it on everything. And, it lasts a long time if kept covered in the fridge. We’ve cooked tofu in it. We’ve cooked fish in it. We’ve done shrimp, and drizzled it over veggies. Over a baked potato. I bet you could add a couple spoonfuls to chili to make it amazing! When we cook fish with this sauce, we grilled the fish to perfection, and poured about 3 tablespoons of sauce over the 2 fish fillets. And, I’ll be posting a recipe for making shrimp in this Spicy Smoke Sauce soon. 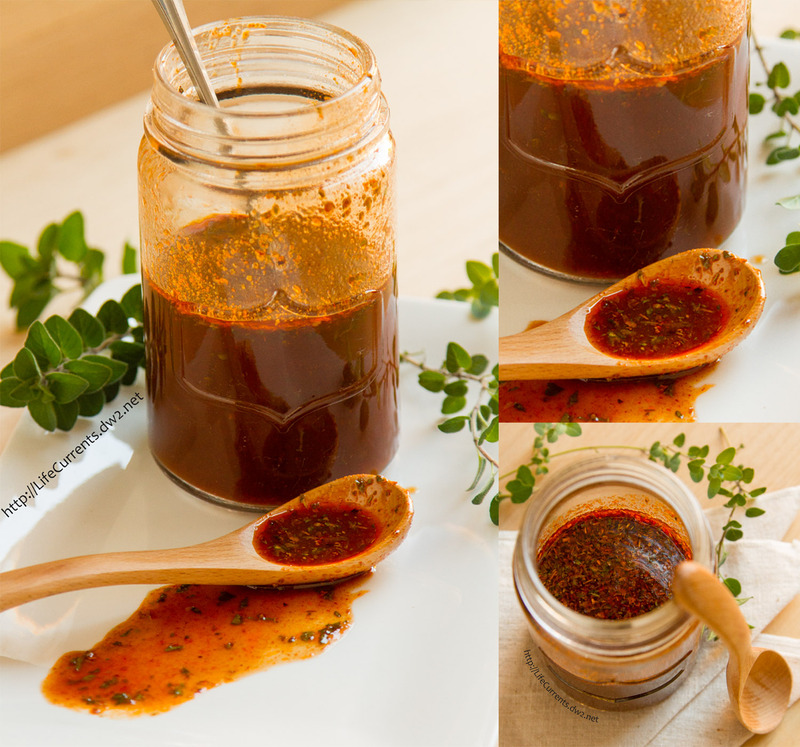 This Spicy Smoke Sauce is based on my Spicy Cajun Cod recipe. I like to put the dried ingredients in the recipe first so that you can keep your measuring spoons clean. You’ll also notice that in the recipe I call for vegetable broth paste. I use Better than Bouillion paste now most of the time (unless I have homemade). It’s easy; it’s tasty; it lasts a long time in the fridge, and you can get an organic one. If you haven’t tried it yet, give it a go. The links are my Amazon affiliate links, so I might earn a little money if you click and buy some. I’ve also been told that the mushroom one from them is great! Spicy Smoke Sauce will jazz up everything from fish to tofu, baked potatoes to chili. Come and get this recipe for yourself today! Place all ingredients in a small saucepan and heat over medium-high heat until all ingredients are combined, about 5 minutes. Smoke & spice – my 2 favorite flavor profiles. Good on so many things. This is a delicious sauce. I can think of so many uses, can’t wait to try it. I love how versatile this this sauce is, so many uses! Have you ever frozen the leftovers? If you ever have any I should add, LOL! It sounds so good! I would want to put this sauce on everything! Putting it on tofu sounds amazing. Great versatile sauce for so many things!! I do exactly the same — put dried ingredients in first so I don’t wet the measuring spoons before I need to! I adore the Better than Bullion mushroom base. It’s great! Debra, I haven’t frozen it, but I bet it would work really well. In fact, I have some leftover from making this batch, so I think I’ll pop it in the freezer now to see how it goes. I would say it could be frozen in 2 way: 1) pour it in ice cube trays so you get little serving amounts, or 2) freeze the larger amount in a tupperware or a jar and defrost in the microwave. I think I’ll do the latter and see how the defrosting goes. Thanks for the idea! I absolutely have to try this. I love that the heat factor can be dialed up or down. Such a beautiful color and I bet the flavor IS amazing. I am always in search of new sauces. I enjoy so spice and smokey flavors. Hi Debi, Have you used this when grilling or baking chicken, similar to using barbecue sauce? Would you marinate the meat in this before cooking, or baste as it cooks? Kouten, we haven’t used the sauce on chicken, it’s pretty rare that we cook chicken around here. We have used it for grilling fish. I think chicken needs to be marinated, so I’d go for like 4 hrs to marinate. Then grill. Also, save some of the sauce (without having put it on the chicken), and use that sauce as a finishing sauce, pouring it over the chicken right at the end. Looks perfect for our weekly BBQs! No fat or calories? Just hand me a big old spoon, this sounds amazing! Truly my favorite combination – smoke and spice. I am all over this recipe. This looks like something that my dad would love! I am always in the search for new sauces! This one is the perfect candidate for this weekend’s meal! This is a lovely idea, love to test new sauces. Let’s try this one soon! This sounds like absolutely and utter perfection! So many uses too! I can imagine so many delicious uses for this amazing sauce! This looks so good. I can just imagine all of the uses for it. Love such a versatile sauce!! Seems like it can be used in different ways! !